Simply put it down and plug it in! 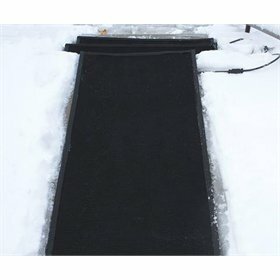 Our outdoor snow melting mats are made by a leading manufacturer here in the USA. 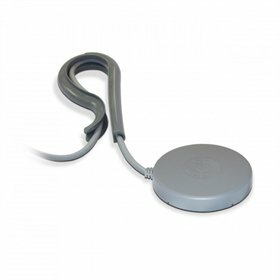 They are not designed for animal use but rather to provide a clear snow and ice-free path to and from your home, and to give you unimpeded access to your outdoor buildings such as your chicken coop and other animal enclosures. These mats are only intended for outdoor use. They heat up to 40 degrees above the ambient temperature and melt snow on contact, melting up to 2 inches of snowfall per hour. Maintenance is easy -- just spray them down with a hose to clean them off. 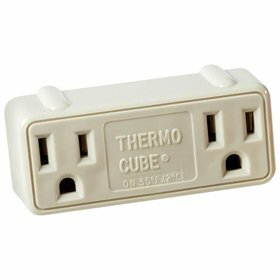 Consider adding on the Thermo-Cube (below) to your order so the mat only kicks "on" in temps below 35°. * Due to high seasonal demand please allow one week for shipment.